I NEED TO...get ransomware and malware protection. See how a multi-layered security strategy can help prevent ransomware. When a school district needed secure endpoint protection, Ivanti came to the rescue. What does it really take to defeat ransomware? Ransomware payments will exceed $2B in 2017. It's become all too common. A ransomware attack can encrypt your most critical data and hard drives, and the fallout can wreck your company’s reputation. Paying the ransom won't guarantee you’ll recover your files or ensure the code is removed from your corporate systems. You need to protect users, their systems, and critical IT resources from ransomware, and respond swiftly to attacks, to protect your network and business. Ransomware poses many challenges, and there's no silver bullet to combat them. But you can radically improve your security with a multi-layered approach. Understand at a glance the threat posture of your organization. Kill it remotely and don't let it spread with ransomware protection. Protect docs, drives, and files from encryption and deletion. Balance user access with productivity needs. Allow only known, authorized apps to run. Keep operating system and third-party application patches up to date. You can't secure the devices and assets you don't know about. Ivanti offers a range of security solutions to help you meet your multi-layered malware and ransomware protection needs. Looking to unify your security and systems management? Add third-party patching? Adopt simpler but also granular access control? Or provide robust security management? Tailor our products to your business needs, without disrupting productivity or business operations or creating more work for IT. 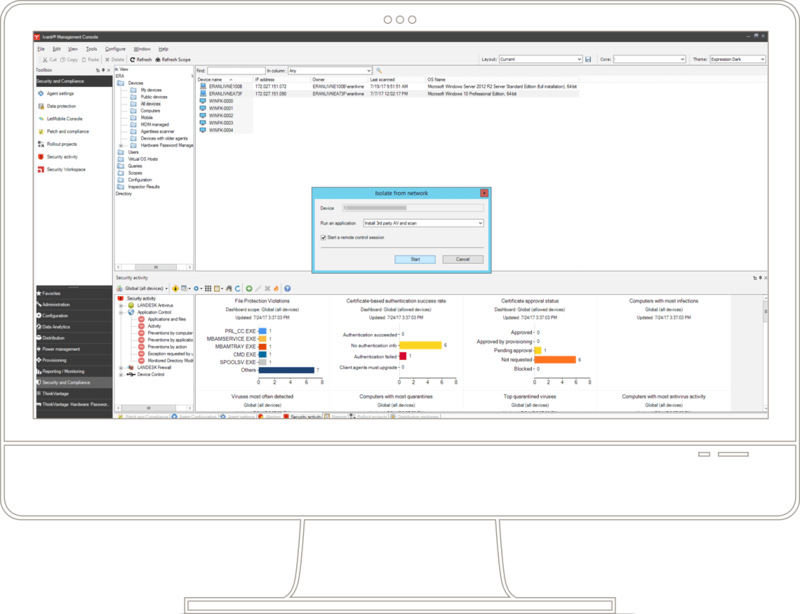 Patch the OS and third-party apps with ease from the SCCM console. Patch physical and virtual Windows servers, Windows workstations, and third-party apps. 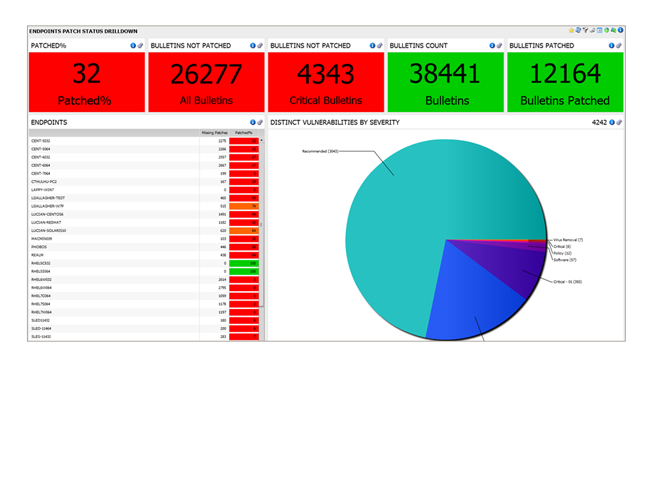 Centrally manage app control and privileges. Defend against ransomware with many dedicated features. Consider just some of the features in Ivanti solutions that provide you with ransomware protection, malware protection and protection from other threats. Provide consolidated, detailed information about your security posture to focus on points of interest, take action swiftly, and demonstrate compliance. Restrict access to the physical drive to prevent encryption of the MBR. Define a rule that protects documents and other file types from ransomware encryption. You can also detect and stop attempts to encrypt files on a local machine, and notify other endpoints to prevent the ransomware from spreading through your network. Raise, lower or even eliminate privileges dynamically on a user, application, or task basis. Allow only authorized programs to run and stop unauthorized or prohibited applications—even on disconnected systems or if files are renamed. The applications your people use to view documents, images, and email, and access customer data are all vulnerable to multiple exploits. We make sure your security policy includes timely patching of non-Microsoft applications and operating systems.